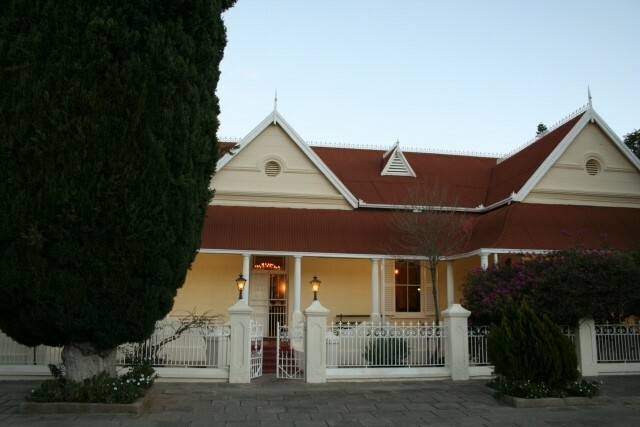 Karoopark Guest House is situated in the historical centre of Graaff-Reinet and is within easy walking distance of all the major highlights Graaff-Reinet has to offer. It’s close to local pubs, shops and museums. This historical establishment offer rooms with the following facilities: air con, electric blankets, tea and coffee making facilities & secure parking. The main building offer a cosy lounge area where you can enjoy the luxuries of reading a great book, watching the evening news or enjoy playing a game of cards whilst enjoy a delicious glass of wine. 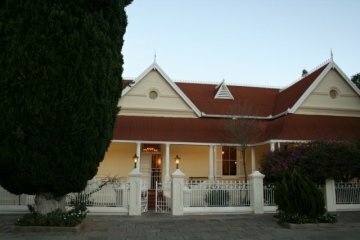 Experience the uniqueness of the Karoo on your doorstep & enjoy your time in the Gem of the Karoo, as Graaff-Reinet is fondly called. No one can leave town without a taste of Withond our local house-drink. Another must is our Karoolamb-chops and Kudu Steak. Come and enjoy the delights of the Karoo and explore South Africa's newest National Park, the Camdeboo National Park. Tours are also on offer to the nearby highlights such as the Valley of Desolation, Township tour and Camdeboo National Park. 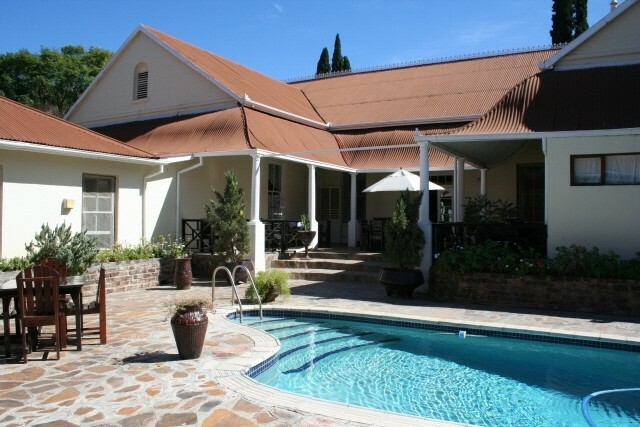 Karoopark is a family run guest house with 24 bedrooms and offers you a variety of choices. 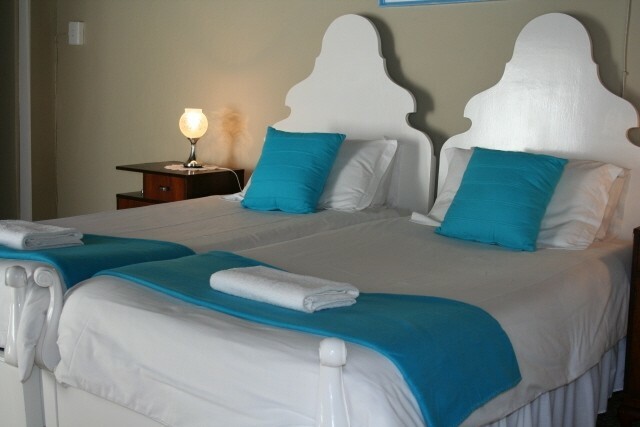 The rooms available are en-suite twin rooms, en-suite double rooms, family rooms or Self-catering units. All the rooms have en-suite bathrooms. 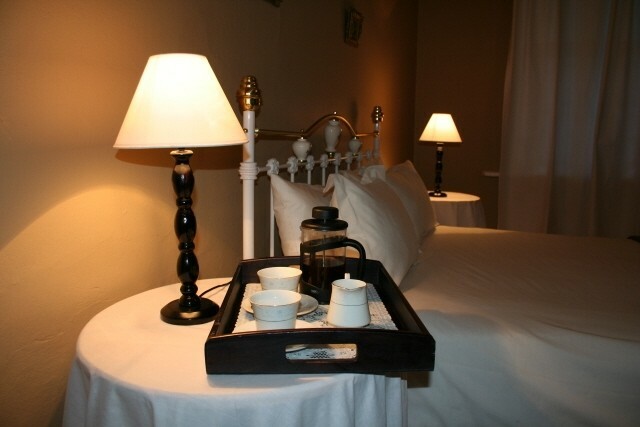 Each individually styled room has a television with a DSTV channel and coffee and tea facilities. All rooms have private entrances and secure parking. Graaff-Reinet's game reserve was declared a National Park in 2005. Six species of animals that are not in the Kruger National Park is to be found in the Camdeboo National Park outside of Graaff-Reinet, these are Springbuck, Gemsbuck, Red Hartebeest, Mountain Zebra, Black Wildebeest & Blesbuck. There are 43 mammals, 336 plants and over 220 recorded species of bird life to be found in this region. Early explorers were amazed at the vast herds of game that roamed the area, especially the Springbok. People fondly recall these herds taking 3 days to pass. These animals are still prevalent in the district and many farms carry the white and black Springbok. A two-hour trip through Graaff-Reinet's townships - Kroonvale & Umasizakhe is a must. Walk around with your guide, Isaac, and visit a local family where you enjoy a refreshing tea and roosterbrood - a small bread baked on an open fire in this unique setting. You also pass the house where Robert Managaliso Sobukwe, the founder of the Pan African Congress, grew up. This is one of the first black operated tourist ventures in Graaff-Reinet whereby the community gets all the financial gain. The money generated would be allocated to community projects, which the community decides upon. The people of Umasizake have undertaken to broaden the tour by exhibiting and demonstrating the Xhosa culture and having handmade goods for sale.